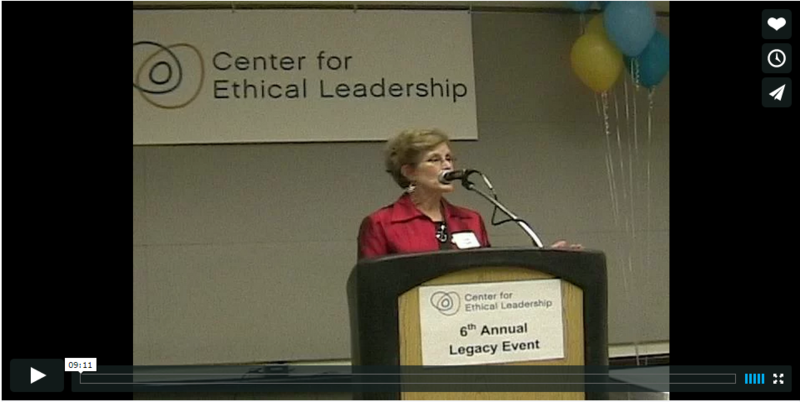 Judy Pigott accepts the 2011 Leadership Legacy Award, presented at the Center for Ethical Leadership's 6th Annual Legacy Event, on behalf of her work with Personal Safety Nets, and a life of working to advance the common good. Personal Safety Nets are the web of people, papers, and plans that prepare us for life's inevitable changes, challenges and opportunities. They can catch us in hard times and crises and help us quickly get back on our feet. 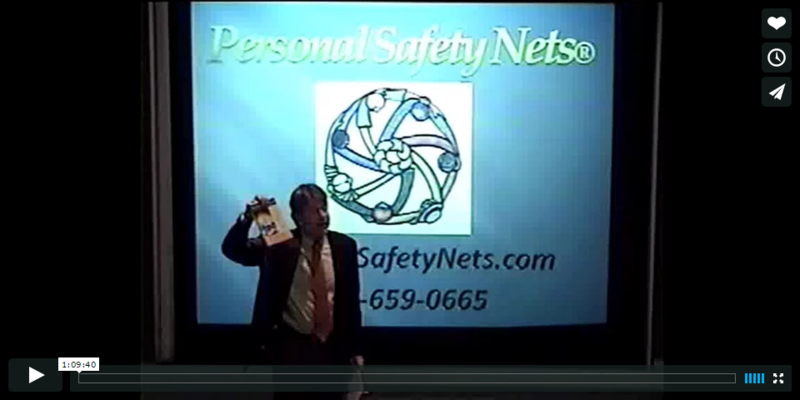 Authors Judy Pigott and Dr. John W. Gibson's book Personal Safety Nets, will educate, entertain, challenge and strengthen you.